When was the last time you saw a woman as the spokesperson for a hair loss treatment? Popular media likes to portray hair loss as a “men’s-only” issue—but tens of millions of women in the U.S. are suffering from hair loss at this moment. In fact, it’s estimated that more than half of all women experience progressive hair loss in their lifetime, with up to 40% showing visible hair loss by age 40. Unfortunately, we’re often told that hair loss is “normal” for men and “not normal” for women—but as the numbers above indicate, nothing could be further from the truth. If you’re a woman suffering hair loss, know this: you are not alone. 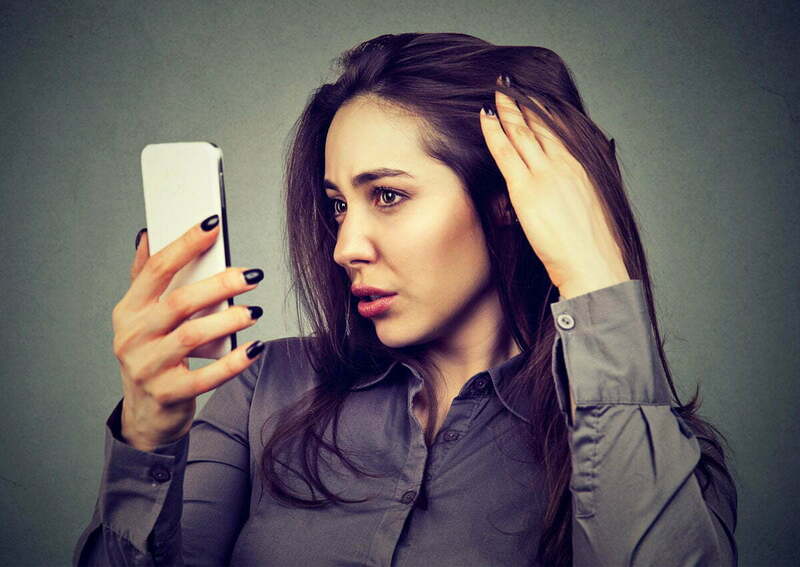 There are numerous reasons for female hair loss, and identifying the likely cause in your situation is essential to finding the most effective treatment. Following are some key facts and things to consider. Are you shedding hair, or experiencing hair loss? Even women who are not experiencing permanent hair thinning lose about 50 to 150 hair strands per day. Because each hair follicle is in a different stage of growth at any given time, this hair loss is usually not noticeable on your head—only on your brush or shower floor! But, if you are noticing a sudden increase in hair shedding, can see patches with missing hair, or feel that your hair is becoming gradually thinner overall, these are signs that something else is going on. Your doctor can help you identify the issue and explore options for hair restoration, if desired. Thinning hair can be caused by stress-induced hormone imbalances or thyroid problems. If you are under a lot of stress, have experienced weight fluctuations, or otherwise suspect this could be the case for you, it’s important to talk to your doctor. Hormonal changes at various times of life can also affect hair growth or cause excessive shedding, but this isn’t always cause for alarm. For instance, it’s normal for new and expectant moms to experience hair loss. Fluctuating pregnancy and post-partum hormones—particularly the sharp, sudden decline in estrogen that occurs after childbirth—can result in a temporary excess of androgens (male-type hormones) and cause hair to shed at higher than normal rate. This is called “excessive hair shedding” and is temporary—after hormone levels readjust, hair gradually returns to its normal fullness. If hair loss persists long after childbirth, however, it’s best to see a doctor to rule out a medical cause. Pulling your hair back into a tight ponytail or braids day after day can overstress the finer, more delicate strands along the hairline, causing the hairline to thin along the top and sides. High-heat curling or straightening irons and hair dryers cause hairs to become dry and brittle, while chemical relaxers, colorants and bleaches can weaken the hair shaft. If you’re concerned about hair loss and suspect these habits or products are to blame, talk to your stylist about flattering ways to wear your hair more naturally. Certain medications can affect hair growth or cause hair loss. If you are experiencing female balding and currently taking any prescriptions, be sure to discuss possible side effects with your doctor. It’s also important to consider what you eat on a daily basis. While nutrition alone can’t prevent hereditary hair loss, a high-quality diet can help your hair stay stronger and healthier as you age. Skip processed foods in favor of lean proteins (i.e. Vitamin B12 rich eggs, meat and fish are especially good for the hair), healthy fats (i.e. olive oil, nuts, coconut oil), and a rainbow of fruits and vegetables. Not only will your hair look and feel better, but your skin and body will too! A good supplement can boost the benefits of a healthy diet, helping you fill in nutrient gaps. At Beauty by Buford, our patients have achieved great results with Nutrafol, a patented vitamin-based “nutraceutical” supplement that encourages healthy, natural hair growth by reducing inflammation that can disrupt the hair growth cycle. PRP therapy. Platelet rich plasma (PRP) injections can stimulate hair follicle growth, effectively helping your hair grow back faster than it naturally sheds. Dr. Buford often recommends PRP for patients in the earliest stages of hair loss, where thinning is just beginning to show. Treatments take less than an hour and require no downtime. NeoGraft Hair Transplants. Hair transplants are extremely effective for treating advanced pattern baldness, and NeoGraft is one of the safest, fastest and most effective hair transplant procedures available. Using NeoGraft, Dr. Buford can transplant individual hair follicle units in a very natural pattern—without a linear scar. The procedure is done in-office with local anesthesia and restores healthy, natural hair growth within a few months. Our patients love that they can cut, color and style their hair any way they like after their procedure without worrying about hiding a scar. If you’re bothered by hair loss, we can help. For more information about PRP, NeoGraft Hair Transplants in Denver, and all of your options to restore your hair, please contact us at Beauty by Buford today. We’ll be glad to get you on Dr. Buford’s schedule for a personal consultation.